Relax - Control - Enjoy ! 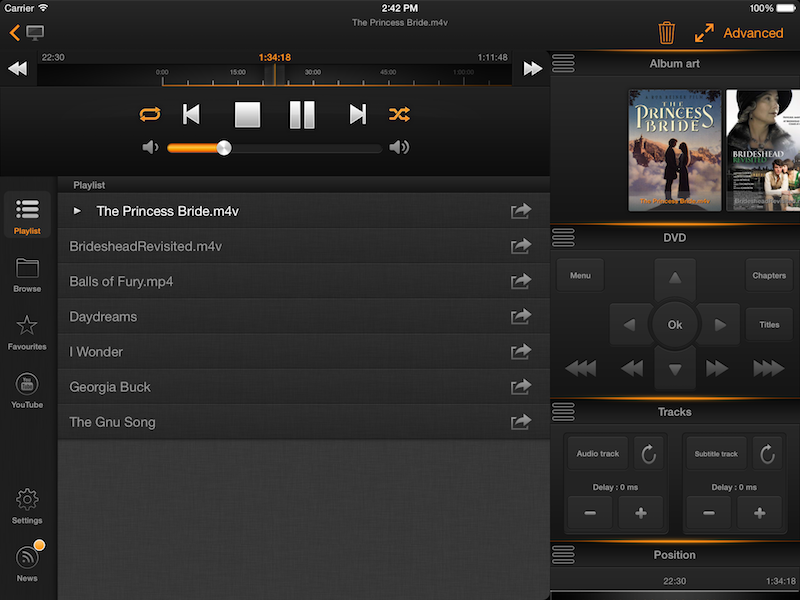 VLC Remote® turns your iDevice into a remote control for VLC media player. Awarded Gizmodo's "Essential iPhone App" three years running. 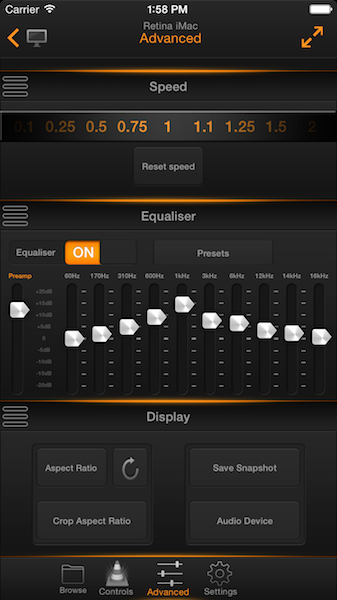 Awarded T3's "Best iPhone Apps"
VLC is a great, free and popular media player famous for being able to handle almost any file format. VLC Remote® lets you sit back, relax and control things from your easy chair! It is a joy to use - no more reaching for the mouse when you want to pause your TV, select the next episode, or play some different music. 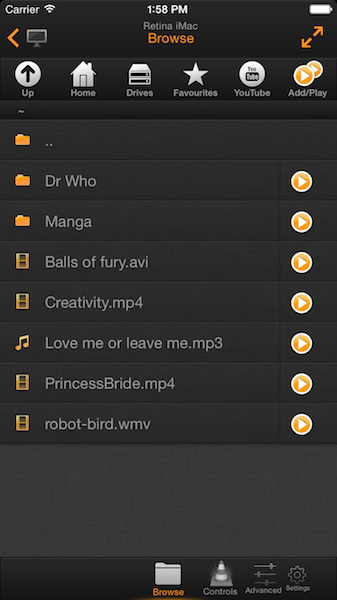 Easily control VLC from your sofa!